May the force be with you but what is the force you ask!! Actually, Technology has been a remarkable force in our lives and continues to affect it to a great extent. Ever since coming into the picture, technology has not been only contributing to our lives but changing the way we live. Over they years, Technology has created countless opportunities with endless resources which have practically changed the way things are rolled. From auto-corrects to checking body pain, and from navigating through streets to tracing our directions, technology has been there helping out every time we end up in a maze. And that’s not all folks!!!! Owing to Technology, we have witnessed so many rags-to-riches stories. BTW how can we not mention all the social entrepreneurs out there. They are all entrepreneurs because of the Technology. We’ve gone from Betamax to VHS to DVD to Blu-ray and now to VR. Technology is evolving at a faster rate and it’s imperative to catch up with technology, as the moment we wink there is another technological advancement. Technology has simplified our lives in several ways including providing on-the-go services, easy access to information, internet of things, improved entertainment services, advanced communication tools and has always encouraged creativity, talent and innovations enhancing productivity and efficiency. Moreover, social networking applications have only confirmed in the affirmation of the importance of technology. Such platforms allow for smoother organization communication as people communicate instantly and at a relatively short duration. Technology has led to the creation of jobs and has bridged the gap between the job seekers and interviewers, it has enhanced communication so that people can connect digitally with the world through platforms such as Twitter, Facebook, WhatsApp, Google etc. IoT has greatly affected architectural technology with automated features. Online banking and learning process has been expanded to a great extent with immediate and efficient results. For the last decade or so, technology has transformed the way we communicate especially after the inception of the internet. For many years, communication was done merely through postcards, telegrams, handwritten notes etc. Although we had telephones in between with the disadvantage of talking to one person at a time and top of it all, there were no answering machines no caller ID to screen calls. In fact, you might have observed telephone booths and pay phones but then they are now a thing of past. And then the internet came and changed everything emails, there were instant messenger portals like Meebo, AOL instant messenger but we have WhatsApp, Facebook messenger and the icing on the cake is emojis, gifs, memes. Internet protocol (VoIP), Skype have only added to its advantage. People born before the 90s know what the word entertainment means. Things they would do simply pass the time like knitting (though people still do), they had Nintendo 64 console gaming, diary entry, watching televisions etc. There were no digital television, no live streaming, no PlayStation. But thanks to technology, as it has provided us with even more creative ideas to occupy our time. We can play video games, make strategies, net surfing, e-learning, Netflix, Candy Crush, Pokemon Go, FPS games etc. Also, we can now pause, rewind, fast-forward videos, then there are IoT, Apple TV and media extender that lets us play digital content onto our TVs from our computers. You want to access information just type in the search box of Google and you will be amazed by the availability of options. But there was a time before the internet became ubiquitous and in that case, public libraries were the most feasible option. People used AOL, Netscape or Hotmail for emails and the most common way of advertising was distributing pamphlets, brochures etc. But the scenario is different now. You want to know anything about anything, Google is there. Be it understanding a complex topic to how to tie shoelaces. In short, the common phrase is “Let me Google that for you”. Content consumption through VR is on the rise and keeping this in mind, people are developing games and movies and are enhancing the user experience by simulating the three-dimensional environment. As of 2015, 200,000 developers have registered to develop games for Oculus Rift. Moreover, According to data from Statista, the VR hardware marketing would be worth $5.2 by 2020. 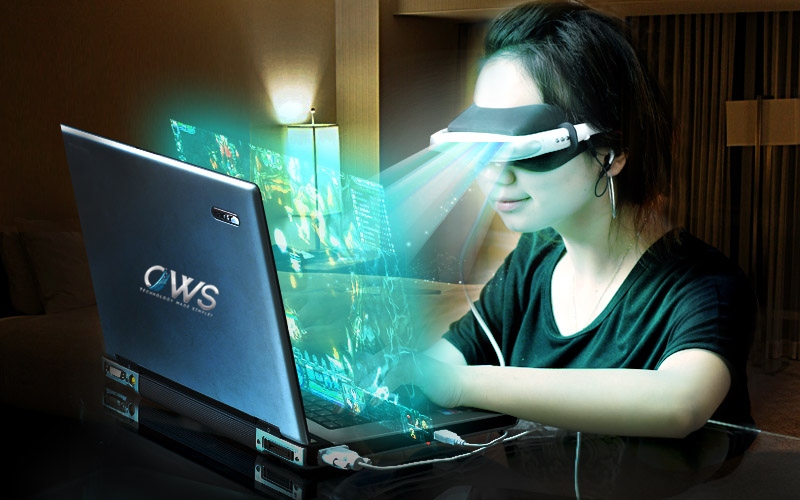 VR systems are used for transmitting vibrations and sensors to the end users and are used in video games, many military training applications and also refers to remote communication environments that provide a virtual experience through the use of a virtual artifact (VA). Wouldn’t it be amazing to enjoy a lifelike experience that’s just a replica of reality!!! First, we used floppy disks then CD/DVD then pen-drives then hard-disks and now we have online storage portals like Dropbox. Initially, the data were stored in chunks and pieces and would hardly ever cross or even touch the GB limit but now, we have smartphones that have internal memory storage of 128 GB. Google has a storage capacity of 15 exabytes(1 exabyte = 1 billion gigabytes). There is an estimate that the information available on the internet is about 1.2 million terabytes(1TB = 1000 GB). Big data is making an impact and is buzzing all over. We live in a digital age, therefore, witness data rush in real-time. But the question is who are the people benefiting from this information? How is this information useful? Industries like the banking sector, IT, Marketing, insurance etc. are in the need of big data. Big data analytics is the process of examining large chunks of information to study particular and hidden patterns, consumer behavior and preferences, market trends to get a crystal clear picture of the current scenario. Now we use the advanced technology in the most sophisticated ways.